Jairupaa College of Engineering is situated in Thottipalayam kangayam Taluk,Tirupur Dt, Tamil Nadu, It lies between uttukuliRS and Kangeyam Highways Road No 81. In addition the College is exactly situated 6 Km from kangeyam, 12 km from Tiruppur SIDCO, Mudalipalayam Housing Unit towards eastern Side. 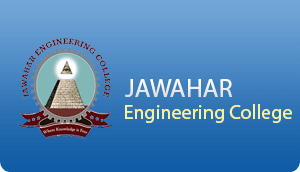 The Jairupaa College Of Engineering was established by the Founder K.S.KRISHNAMURTHY M.A., with a mission to produce skillful and talented engineers to meet the challenges in the modern technical and growing area. To develop an institution of global repute to impart the Professional education of highest standards. To produce world class professionals with sound subject knowledge, social character, self-confidence and creativity for the sustainable growth of the nation. The College is a community in which a large number of individuals live closely together. Hence, It becomes essential that all members have due regard for right of others. The College guidelines & regulations are intended to help, preserve a happy and harmonious atmosphere for all those living and working together in the college premises. Students are required to observe discipline and follow norms in every aspect of the institution both academic and administrative. Good conduct and academic excellence are the watchwords of the institution. To achieve the Institutions mission of educating students, we first need to create a positive learning environment. It is our responsibility to ensure that our students know What is expected of them, and, equally become our duty, to protect them and ourselves from behaviors that disrupt the integrity of that environment. The guidelines and regulations converging students conduct and discipline are framed under the philosophy highlighted in the above preamble. They are subjected to modification from time to time. In case of clarification, interpretation by the college authorities is final. Infraction of guidelines and regulations by students leads to disciplinary action by the authorities. The college expects the students to do serious and sustained work and to make use of the faculties offered for their all round development. The college expects parents or guardians to co-operate with the college authorities in the education of their children. They should follow the students progress in studies and his / her general conduct. The parents should meet the lecturers, Professor, HOD & Principal periodically or whenever called for. The range of careers open to the graduates is an ever widening one, with employers seeking capable, articulate and well motivated graduates who can make an effective contribution to their organization. The Training and Placement Cell helps all the students by providing a wide range of career- related events. Students are encouraged to use the service from early in their course of study, that will match their skills and aspirations. The college is committed in preparing students for an emerging and changing business scenario. Students are provided with experience that will not only equip them with the knowledge, skills and abilities for a future career, but also a practical professional experience through the in-plant training, workshop and various seminars. In this era of technological advancement, the education a student receives must be focused towards the needs and requirement of the Industry. To achieve this, our College has become a member of the Confederation of Indian Industry. Southern Chapter and Center for University Industry Collaboration, Anna University. The center helps us to contact various organizations both public and private sector and promotes Industry – institute interaction. 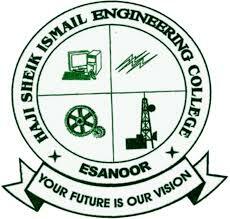 Haji Sheik Ismail Educational trust founded by Mr. Mohamed Jahangeer who is son of late Haji Sheik Ismail. born in Thopputhurai Village in Nagapattinam District. Mr. Mohamed Jahangeer was impressed by Former President of India Dr. A.P.J. Abdulkalams in 2006 Pura mission (Providing Urban Amenities in rural areas). That book impressed him mostly and made a thought that he can do something to his nation through education. 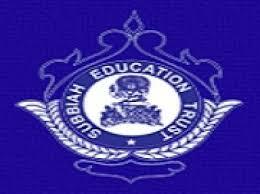 So that he formed the Haji Sheik Ismail Educational and Charitable Trust during 2007. Through that Trust he wants to follow mission Pura and for its first step he found the Haji Sheik Ismail Polytechnic College in Esanoor Village, at Thirukkuvalai Taluk in Nagapattinam District. Esanoor is a remote village having a Puranic history. The historical period name is Sathur Vedhanallur, which means a village contains essence of 4 Vedha’s called as Rik Vedha, Yajur Vedha, Samavedha, Atharvana Vedha. In that Village HSIPC situated 12500 sq.ft area of Building which structured with good natural Air floating in all building areas and having well formed drawing hall, well machined workshop and well stored library. A large play ground with well equipped playing materials. For Day Scholars modern seated buses playing. Hostel Facilities with Boarding & Lodging. Separate Veg & Non-Veg Canteen with Dining Hall also situated. To provide good Talented Knowledge in working skill to our student who will be ready to work from first day of his appointment. To provide occasional academy to strong our nation, self discipline for the total improved personality of individual. To convert a excellent practical skilled person to satisfy himself and through that to the nation. Industrial training during winter and summer holidays.